Reports are accounts of certain individuals of the things or events they have observed, investigated, or researched. 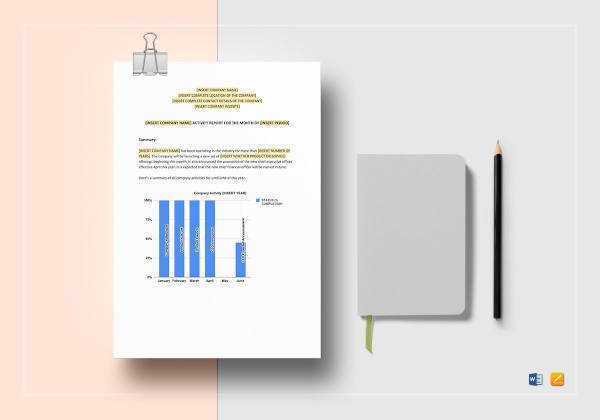 A report can be a written or spoken piece of information which is given with the intention of expressing hard facts to a specific population or audience. People tasked to deliver the report are commonly known as reporters. Reporters are not necessarily the writers of the report. In many cases, however, the writer of the report, also gets to deliver the report to a certain audience (as in research reports). 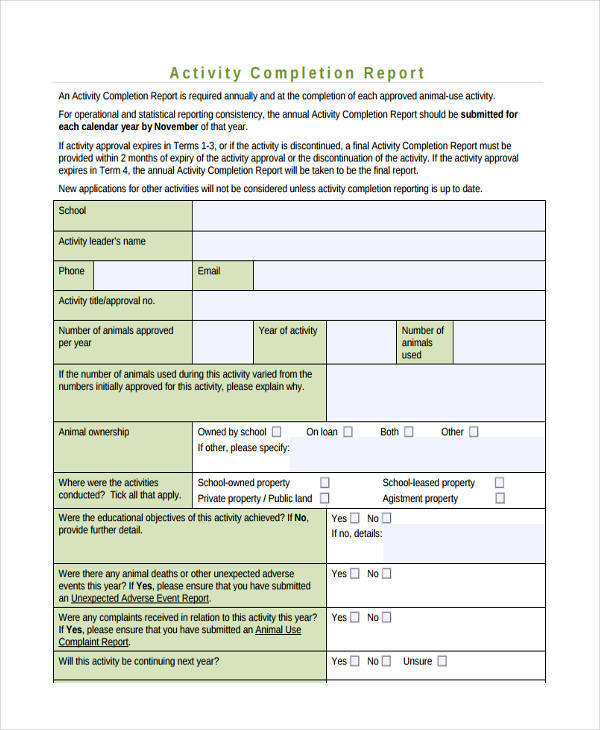 An activity report (also known as a progress report, or a status report) is a documentation of an employee’s activities and performance over a specified time period. 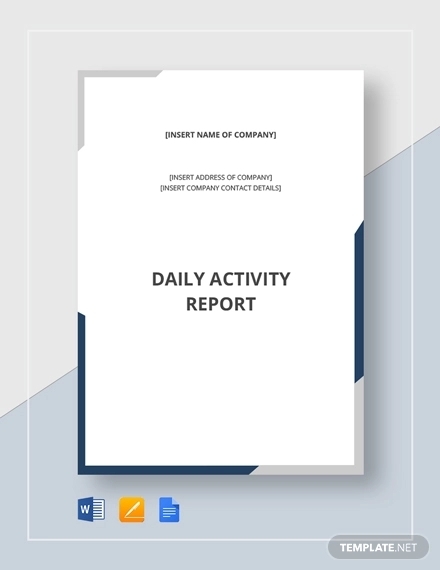 Activity reports are often presented or submitted to the manager or head of the company. 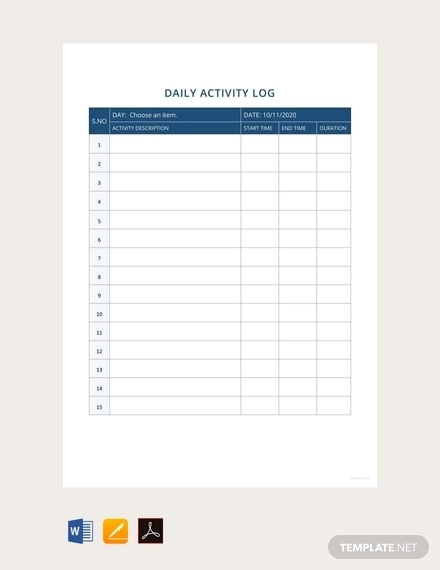 Different activity reports contain different information. 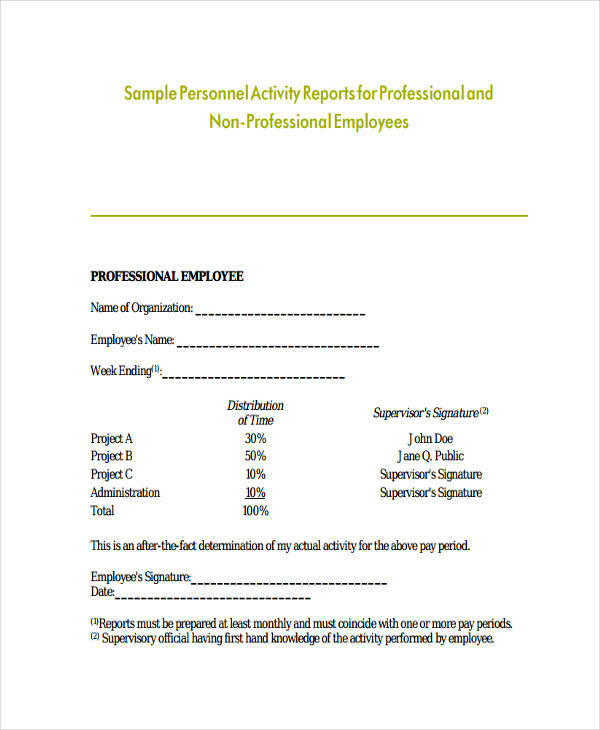 Some include information about the name and signature of the employee preparing the report, and other information needed by the management. 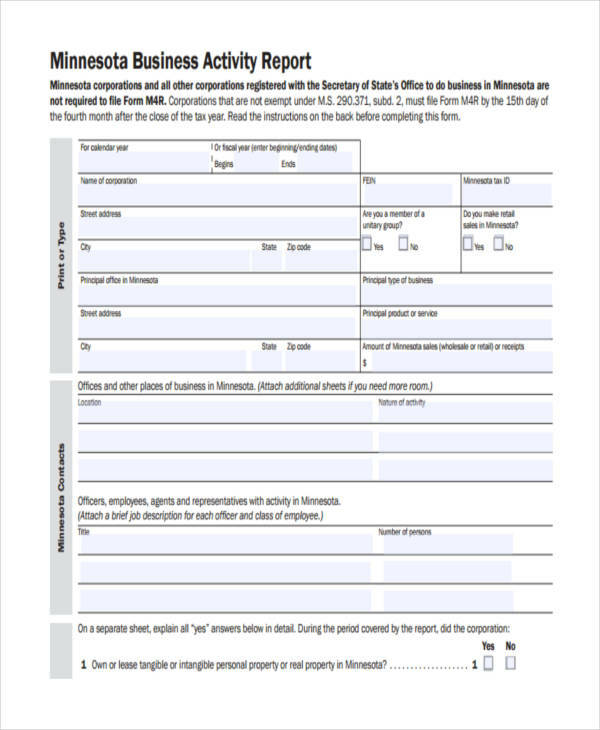 An activity report can be submitted monthly, weekly, or even daily. 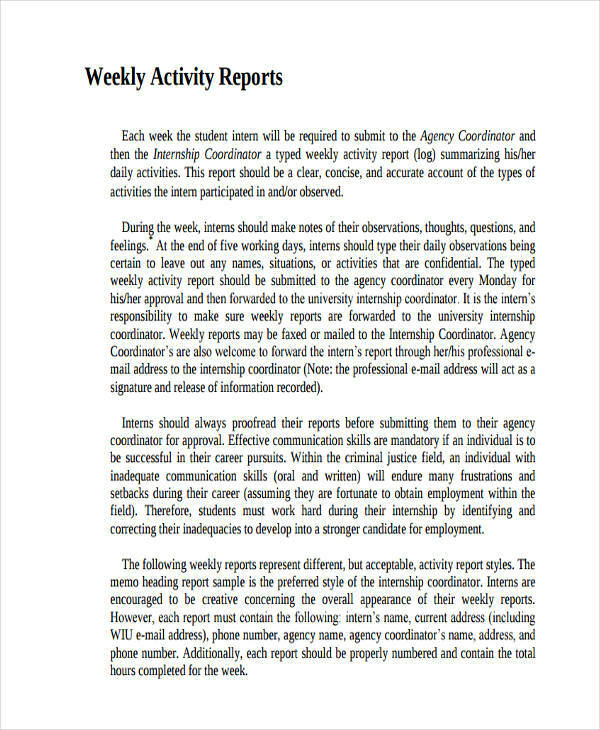 Activity reports can be delivered verbally, though most managements prefer something in writing. 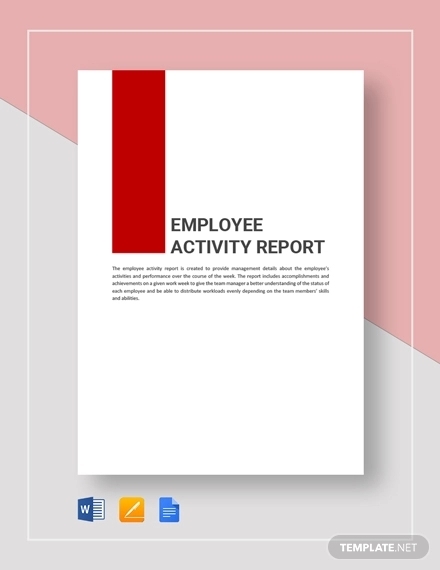 Activity reports help managers or office heads in monitoring their employee’s performance report during a given time frame (e.g. a month). Managers often have a tight schedule, thus he/she won’t have enough time to talk to his/her employees one by one. 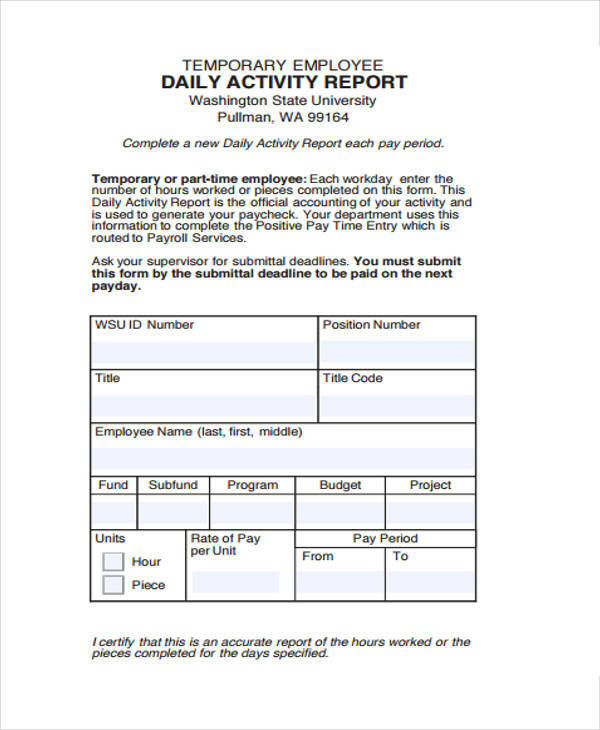 Activity reports help in bridging the communication gap between a manager and his/her employees. 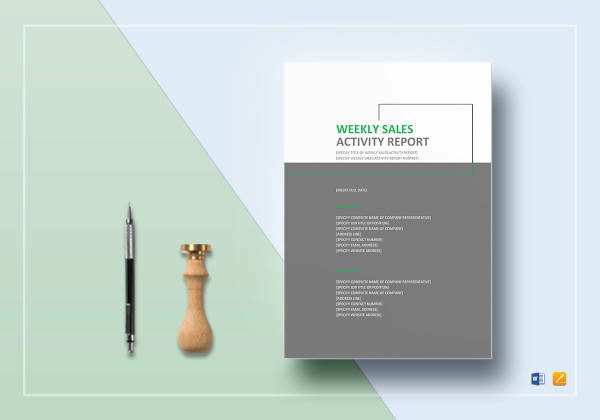 An employee’s activity report will allow a manager monitor the tasks of the employee, and the progress of projects the employee is currently working on, without having the need to talk in person. 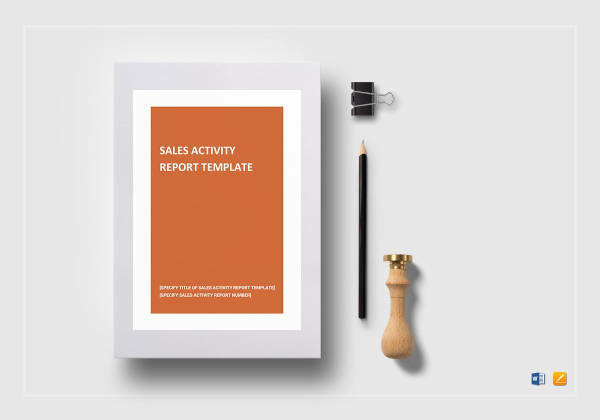 Activity reports minimize the time it takes for the manager to monitor and give feedback to every employee report activity. Carefully plan the report. 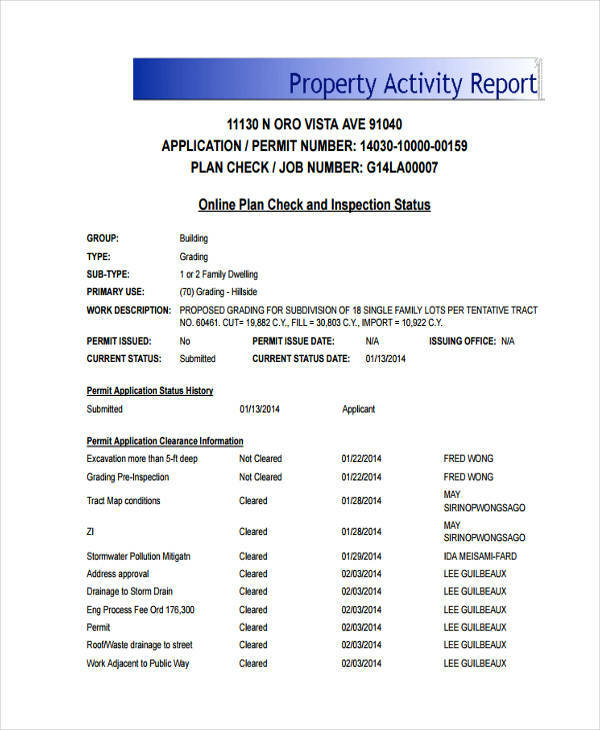 Identify the purpose of writing the report. Understand what you are reporting about. Consider your audience. 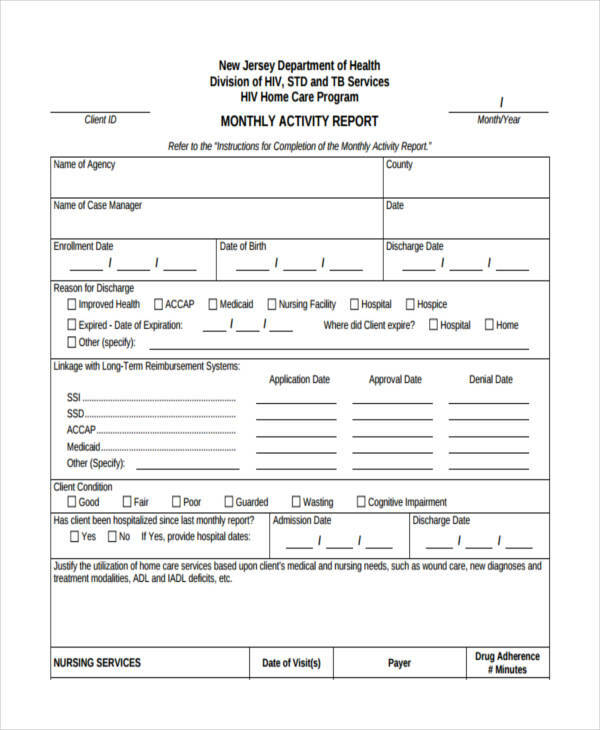 Take your time in writing the report. 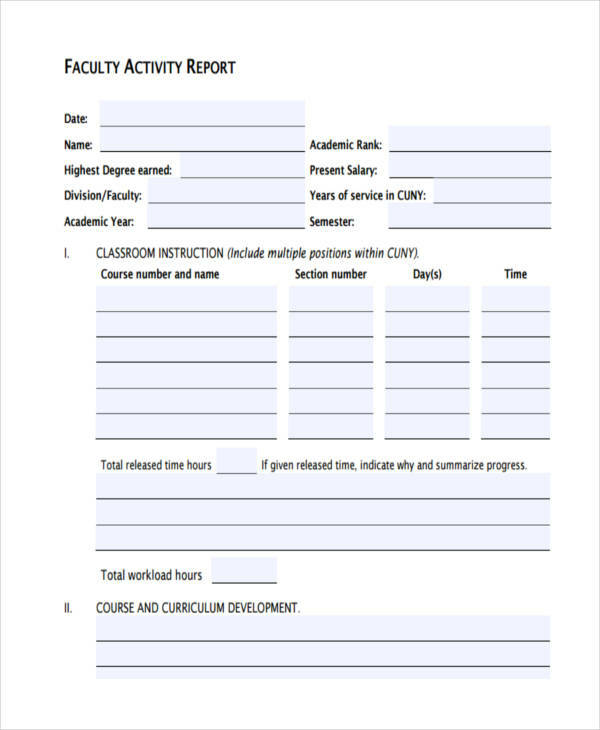 Prepare your report a few days before the deadline. At the very least, this will help you avoid procrastinating, and will let you have enough time polish your work. Give your report a structure. A proper report structure will keep your report organized. You may refer to some free report examples for a sample structure. Be honest. You are writing so your manager can monitor your performance and provide some advice to improve your performance (in case you’re not performing well). Write simply. 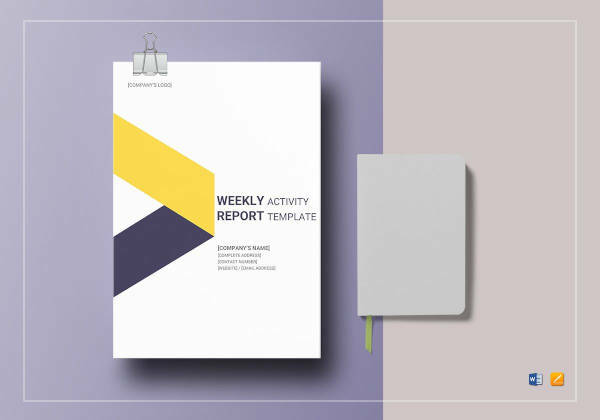 You need to keep your activity report looking professional and formal report, so avoid adding unnecessary designs to your report. Keep a backup copy of your report. You’ll need a back up copy in case your report gets lost (or something like that). Proofread. You cannot, in any way, submit your work without going over the details you’ve written for a few times. You need to make sure you have provided the accurate information, so do proofread your work.